Aha, it’s an indy Aultmore! And what a label, too – how often do you see a shark fighting a raptor on a container ship while an oil rig burns in the background?? Nose: Malty beer, chocolate oranges, green apples, and vanilla sponge cake. Palate: Rich fruitcake, plums, a heap of cinnamon, cloves and dark chocolate. It’s very viscous and sweet on the tongue – like a spicy syrup. Finish: Warming and long with ginger spice and soft oak. It’s a tad young, but it’s wonderfully drinkable. Rich, warming and with a very pleasant and long finish. You can still pick these (from various batches) on auction sites. Historically, Aultmore tends to end up in Diageo blends, though there are now official bottlings available too. They tend to have them available to taste in duty free, so do keep an eye out! In the wake of this year’s Feis Ile (The Islay Festival of Malt and Music), Hunter Laing have released a set of six extremely rare whiskies to celebrate Islay whisky – The Kinship range. Hand-picked by legendary distiller Jim McEwan (formerly of Bruichladdich and Bowmore), these whiskies represent the best and rarest examples of Islay spirit. They also mark the creation of Laing’s brand new distillery “Ardnahoe” which is situated on the shores of the Sound of Islay, close to Caol Ila and Bunnahabhain. I’m a massive Bruichladdich fan so I’m delighted that Jim McEwan will be production manager when the distillery goes into operation early in 2018. Anyway, on with the Kinship whisky! The oldest and rarest in the range is this: a sherried Port Ellen that was distilled shortly before the distillery’s closure in 1983. Let’s get it in the glass! Nose: Thick candle wax, menthol, dried rosemary. New leather and citrus peel. Quite maritime in a minerally way – think chalky clifftops on a windy day. With water becomes more citrusy and a little soapy, like washing up liquid (but in a good way). Over time it gets sweeter and richer with vanilla cake sponge. Palate: Lemon throat sweets, brown sugar, clove oil, sour cherries and gentle wood smoke. Finish: Tingly, ashy and long. Creamy oak and a touch of vanilla. Jim McEwan described this as “a tidal wave in a glass”. The nose is indeed a powerhouse and it transports me directly to being outdoors on the Scottish coast – much like Lagavulin 12 or a cask-strength Caol Ila. The palate, though smoky, is a lot gentler – even at the full 61.7% strength – and you get to enjoy a deeply pleasant and life-affirming finish that lasts and lasts. Frankly, I was a little concerned that this had spent 34 years in sherry. For my palate, that can really spoil a good whisky. Luckily, my fears are unfounded – this must’ve been a good quality refill cask and at the incredibly high ABV it’s had a remarkably slow and careful maturation over those years allowing the spirit to dominate the flavour, not the cask. All in all, this is a really elegant and well-rounded whisky – classy, complex, and delivering all that coastal/citrus goodness you’d hope to get from a Port Ellen. Currently, these Kinship bottles are available from the Ardnahoe Distillery Shop on Islay. The Port Ellen is £1,800 per bottle. Nose: Pineapple Turkish delight in dusty icing sugar. Bruised apples, salty toffee, whipped cream. Absolutely delicious. Palate: Mango syrup, peach melba, Werther’s Original toffees with a gentle gingerbread tingle. Finish: Apple skin, with a touch of Barley grist and vanilla. I could sip this happily all Summer, if all 264 bottles hadn’t already sold out. Samples are still available via Master of Malt for £13.67 a piece. The bottling of the first ten-year-old whisky is a big milestone in the life of any distillery. A tiny, farm-run endeavour, Kilchoman have been punching well above their weight since they entered the whisky market with consistently excellent whisky from a very young age. I’m a big fan of their 100% Islay bottlings (which are only about 5 years old when bottled). Nose: Jamaican Ginger cake but without the heavy molasses – more like golden syrup and brown sugar. A chalky, sooty, old stove quality around the edges of the sweetness. There’s a fragrant starchiness, too, like pilau rice. With water it gets waxy and slightly soapy. Palate: Very thick and buttery, with sweet vanilla, lemon sherbet, and then a freight-train of peat and barrel spice: chilli peppers, tingly clove, black pepper. Water calms the spices and reveals cardamom, heather honey, boiled sweets, and some light floral camomile notes. Finish: Cashew nuts, more cloves, and a lip-smacking ashy quality akin to the dying embers of a cigar. This is definitely more rounded and well-integrated than its younger siblings. The character of the spirit shines through and dominates both the nose and the palate, forcing the influence from the cask to take a back seat. Those floral, peaty flavours works incredibly well together and I hope this means we’ll see a 10-year-old at 46% become part of the core line-up. 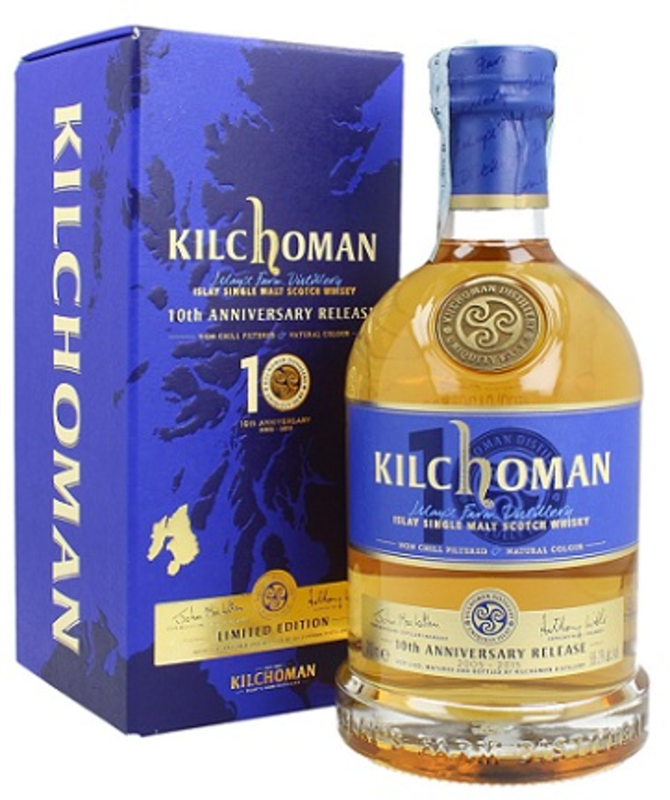 There’s samples of the Kilchoman 10th Anniversary available on Master of Malt, but not full bottles, alas. 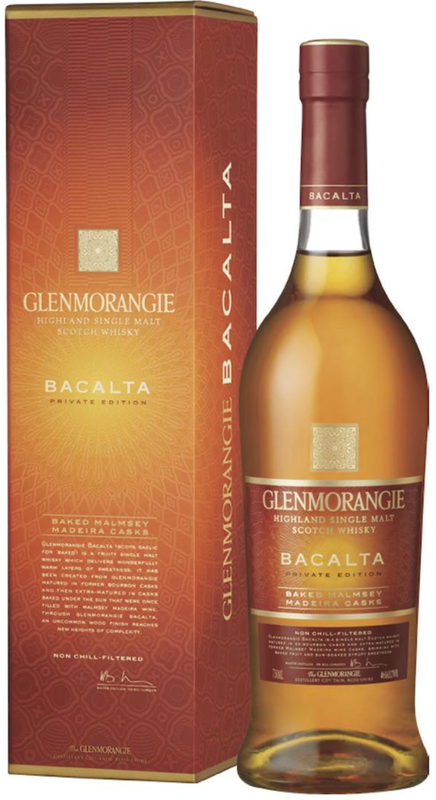 Another release in Glenmorangie’s Private Edition Series. I did enjoy the Milsean from earlier in the series so let’s see how this “sun-baked” member of the range lives up to expectation. Nose: Sweet and lively. Apple sponge cake and fresh vanilla custard. Tart cider apples, Madeira wine (yes, that sticky, dark flavour is very distinct), and a whiff of tinned peaches. Palate: More vanilla custard and soft fruit: pears, apples, peaches. Cinnamon and white pepper develop through the mid palate with a touch of dry white wine and pouring cream. Finish: Quite short with drying vanilla oak. This is a very pleasant dram, though not astonishing. I enjoy the fruitiness of the nose very much but the palate’s rather too cask-led for me with predictable vanilla and cake notes. I’d be pleased with this for £40 a bottle, but not £80. Thanks very much to Andy at Malt Box for sharing this with me. If you’re interested in trying it, there are still bottles available on Master of Malt for £77.95. The big chief of the three new releases is this one: Talia. A 25 year old bottling released at a generous 49.2% with no colouring or chill filtering. Nose: Poised and gorgeous. Flower petals and clean laundry. Ripe apples with icing sugar, lime juice, butter, and a whiff of banana milkshake. Palate: Sweet and zesty. Cloudy cider, clementines, tinned peaches and cream with warming black pepper, vanilla pods, and smooth oak. Finish: Soft and oaky with a touch of clove and cardamom. What an absolute treat to try this alongside the Samsara and the Adela. I’m thrilled to see the rebirth of this wonderful distillery and looking forward to what comes next. It’ll be a few more years before they’re able to patch the gaps in their stock but I’m hopeful we’ll see a ten or twelve year old released as part of the core line up. Thanks very much to the distillery for the samples and best of luck with the re-launch! The new bottlings can now be purchased in the UK via House of Malt. Scotland’s most Southerly distillery had a shaky few years when its parent company went into liquidation. Now rebooted, it has Ian MacMillan (formerly of Bunnahabhain and Tobermory) at the helm of distillation, bringing decades of whisky experience into the mix. 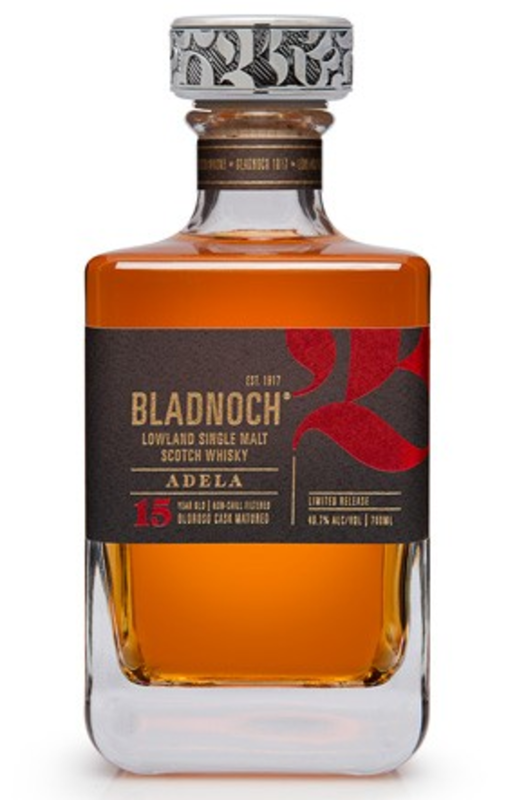 This second whisky in the new line-up, Adela, brings 15 years of Oloroso sherry maturation. It’ll be interesting to see how that plays with the character of the core spirit. Nose: In a word, multilayered. Lots of heavy, meaty sherry tones – struck matches and boiled ham. Beneath it, sultanas, white peach and sandalwood and a base layer of buttery icing sugar like it’s younger sister, Samsara. Palate: Redcurrants and black cherries – quite tart, but sweet and malty with vanilla cream, a hint of tobacco leaf, and dark chocolate. Finish: Heavily roasted coffee beans and hazelnuts. This isn’t a style of whisky that I tend to turn but there’s a lot going on here as it opens up and evolves. Intriguing and one I’d recommend to people who love their sherried drams on the more savoury side.